Kiko Matos plays Mercedes Cabral’s leading man in the shot film ‘Halik’. 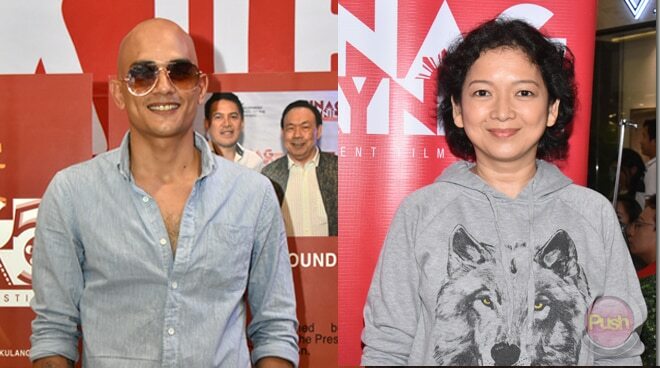 After his first Sinag Maynila film festival entry Expressway in 2015, Kiko Matos said he is happy to be part of this year’s competition as one of the lead stars in the short film entry Halik. “I was just called in for the role. I think mainly because one of the producers is my friend so he suggested me to direk Harlene (Bautista). This made me play something different from the usual. The usual roles I get to play kasi are medyo maangas. Dito naman sa Halik medyo soft. I don’t really have a preference of what roles I want to play. I want a lot of variety,” he told PUSH during the 2019 Sinag Maynila opening night held last April 3 in Mandaluyong City. Shooting the film in just one day with leading lady Mercedes Cabral was enjoyable for Kiko who said this is already his third project with the talented actress. “Ito yung unang beses namin mag-kiss. That’s one thing na the highlight of course of the film. I’ve worked with Che with a few movies before and I always knew somewhere down the line magkaka-partner din kami. The chemistry was very natural,” he said.